Summer officially starts this weekend, but the weather and the arrival of the Inlander Summer Guide certainly mean that most of us are already celebrating the warm weather. You can join the fun with some of the featured events and Staff Picks on Inlander.com. WORDS | It's Spokane Poetry Slam night at The Bartlett, where you can compete for $50 against some of the area's best spoken-word poets. DANCE | The Silver Spurs Youth Folk Dancers have a repertoire that covers more than 40 cultures' modes of dance. That's some serious homework to lend to serious footwork. It starts at 7 pm at the Bing. OPEN MIC | Jones Radiator hosts the Open Mic of Open-ness, welcoming all styles and skill sets to their friendly little stage on Sprague. SPORTS & OUTDOORS | If you feel the need for speed on your bike, hit the Wednesday Night Mountain Bike Races at Riverside State Park and compete against some other speed demons. FILM | You might be one of the folks who helped make Jurassic World the biggest-selling opening-weekend film ever. 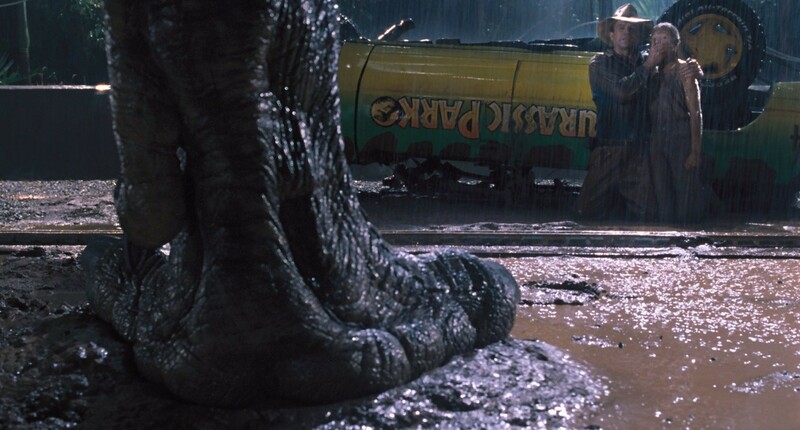 Now you can go watch the original Jurassic Park in lovely Riverfront Park during its Outdoor Movies series. SPORTS & OUTDOORS | The Manito and Comstock neighborhoods close down for the benefit of cyclists, skaters and basically anything on wheels but not motorized for Summer Parkways, starting at 6 pm. LIVE BANDS | The Doobie Brothers will turn NorthernQuest into their own China Grove. SPORTS & OUTDOORS | It's opening night for the Spokane Indians baseball club, so you get a ball game AND some fireworks. Sweet! BENEFIT | Been a while since Bloomsday, but there are plenty of opportunities to keep running, like the Summer Solstice Fun Run at Riverfront Park. SPORTS & OUTDOORS | Take a drive north and enjoy some small-town fun at the Colville Panorama Rodeo. FOOD & DRINK | Enjoy sipping some delicious wine? Help the Pend d'Oreille Winery celebrate its 20th anniversary Friday night and Saturday. COMMUNITY | Bazaar takes over Post Street downtown in its second year, offering all manner of cool arts and crafts for less than $100, plus music, food and more. It's free to attend, and runs from 11 am to 10 pm. ETC | Want to work in the weed biz? Hit the Spokane Cannabis Job Fair on Saturday at 10 am at the Spokane Convention Center. Wait, 10 am? COMMUNITY | Celebrate Juneteenth with the Inland Northwest's African-American community and others honoring the anniversary of emancipation. HEALTH & WELLNESS | A free night of yoga to ring in the first day of summer? Sounds relaxing. Hit Yoga in the Park.